Crochet flowers have so many uses, from embellishments on clothes, blankets, and purses, to decorations around the house. This is why any good crocheter knows she needs a good crochet flower pattern in her arsenal that isn’t super complex and time-consuming, but still looks cute. Enter the Easy Peasy Crochet Flower Pattern & Tutorial to make all our lives a little bit easier. This project is the perfect beginner’s crochet project, so don’t worry if you don’t consider yourself a master crocheter just quite yet. This super simple crochet flower pattern is so easy it only requires three rounds. It will take you no time at all, so you’ll be able to whip up a whole batch in a night, which is absolutely essential if you are trying to make a crochet flower garland or embellish an entire afghan with flowers. If you’ve never crocheted before, this is the perfect pattern to start with. Can’t wait to make this project? Get it at Knit Purl Hook! 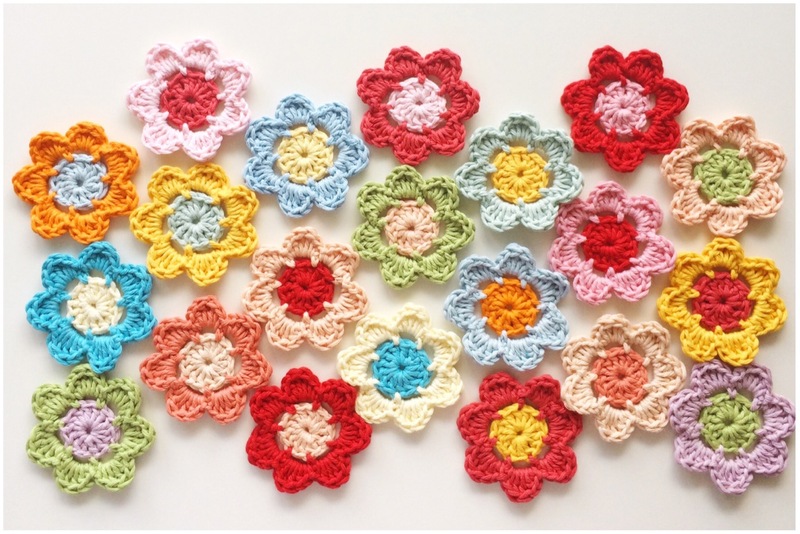 What do you use your crochet flowers for?